Global carbon emissions from the world's aviation and maritime sectors could rise 250% by 2050 without tangible targets from governments to reduce carbon rates, a report has warned. Both sectors need to "drastically expand their own research into alternative fuels"
The New Climate Economy has called on the International Civil Aviation Organisation (ICAO) and the International Maritime Organisation (IMO) to lay out objectives to drastically reduce carbon rates, which are in danger of growing dramatically over the coming decades. The report, commissioned by the Global Commission on the Economy and Climate, has recommended initiatives for the ICAO and IMO to implement, in an attempt to stop combined global CO2 emissions reaching 32% by 2050.
implement market-based-measures from 2020 to raise revenue which can support developing countries’ climate actions. The report found that the sectors are together responsible for 5% of global CO2 emissions. 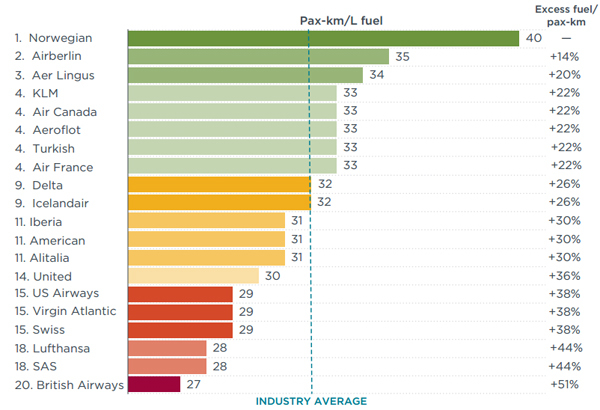 In 2010 aviation fuel consumption released 448 megatonnes of CO2 into the atmosphere, with maritime emissions reported to be 949 megatonnes in 2014. ICAO expects aviation emissions to reach between 682-755 megatonnes by 2020, while with IMO projects an increase of 50–250% by 2050. 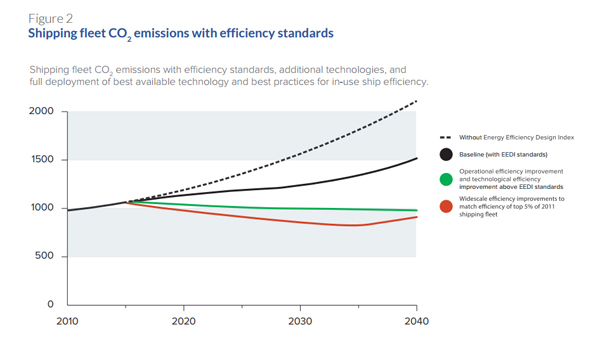 The aviation and maritime sector offers some of the most cost-effective emissions reductions solutions available, the report found. Since the early 1960s, aircraft design improvements have reduced emissions per passenger by more than 70%. For every tonne of fuel saved, about 3.16 tonnes of emissions are avoided. However, earlier this week, the International Council on Clean Transportation revealed that, despite a 45% reduction in average aircraft fuel burn in the last 40 years, the aviation industry is still around 12 years behind efficiency targets set by the UN's aviation body. The maritime sector has introduced a ‘slow steaming’ method - where the ship slows its speed to conserve fuel. Adopted widely in 2012 this can reduce daily fuel use across the industry by 27%. From 2018 shipping owners using European ports will have to report on the CO2 emissions of their vessels. The use of biofuel has been a hotly debated topic in the build-up to COP 21, and researchers from the University of Utrecht found that biofuel consumption in the transport sector could reach 1.3% of total energy demand. However, issues have been raised as to how to create biofuel without indirect land use change.